Danko Jones, the band, stand and deliver crisp, catchy and crunchy hard rock with such exciting consistency that they have cultivated an equally loyal and consistently fervent fan base worldwide. Danko Jones, the frontman and guitarist, writes such irrepressible, hook-laden-yet-crunchy electric tunes that it’s impossible not to get sucked in by the alt-punk edge to his songs. The net result is a live performance driven by this power trio’s sweat and electricity. And now, for the first time in their two decade career, Danko Jones are bringing that live inspiration (and perspiration!) to CD & DVD/BluRay with the release of LIVE AT WACKEN on January 29th, 2016. Featuring their 18 song 2015 set and various bonus material items spread across the formats, LIVE AT WACKEN provides firey bursts of energy, quirky alternative riffery and Jones’ own electric personality, one which has seen him become an independent commentator, spoken word artist and columnist for The Huffington Post. Bonus material will include a track-by-track commentary, an exclusive backstage interview with Jones and his spoken word performance from the 2012 Wacken Festival. Live At Wacken will be followed by a busy 2016 as Danko Jones once again take their firebrand rock’n’roll revival on another world tour. 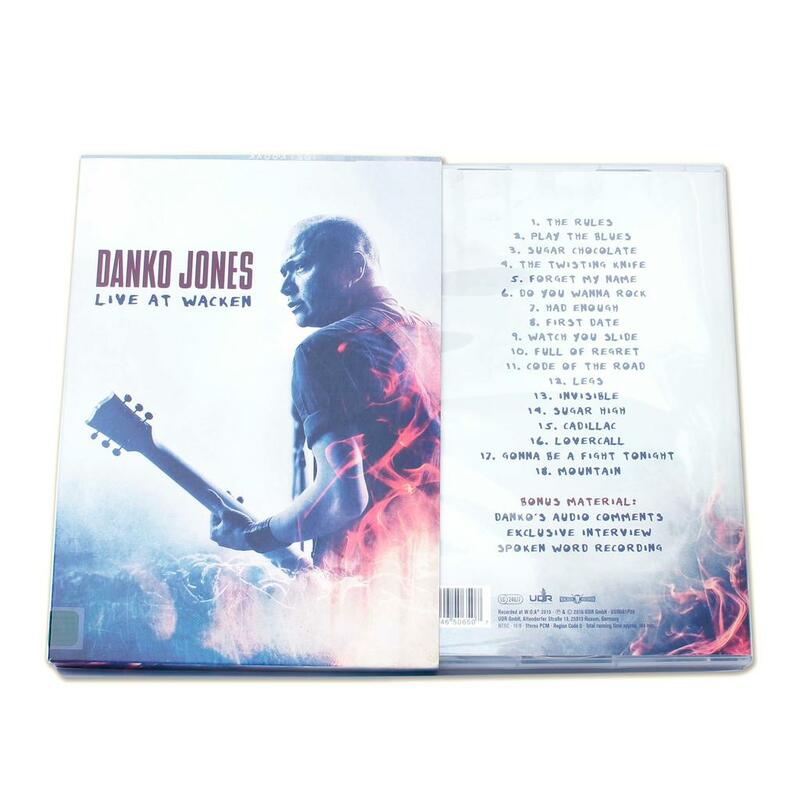 Irrepressibly energetic, unflinchingly honest and engagingly addictive, Danko Jones never give anything less than 110% whether on stage, screen or stereo; unsurprisingly, everybody wants some!